“Viscera” relates to the internal organs of the body, such as the liver, kidneys and intestines. 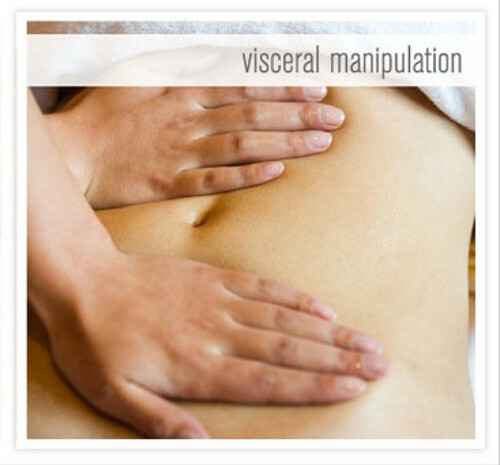 Visceral Manipulation is a hands on therapy with the specific goal of improving the function of the body. It addresses structural imbalances, tensions and restrictions by facilitating normal motion of the body, both within and between the tissues. By aiding your body’s ability to release restrictions and unhealthy compensations, the aim is to release pain and any dysfunction caused by these restrictions. Visceral Manipulation, or VM, does not focus solely on the site of pain or dysfunction, but evaluates the entire body to find the source of the problem. The VM therapist feels for altered or decreased motion within the viscera, as well as restrictive patterns throughout the body and then applies VM techniques. VM employs specifically placed manual forces that work to encourage the normal mobility, tone and motion of the viscera and their connective tissues. Trained practitioners use the rhythmic motions of the visceral system to evaluate how abnormal forces interplay, overlap and affect the normal body forces at work. These gentle manipulations can potentially improve the functioning of individual organs, the systems the organs function within, and the structural integrity of the entire body and to re-establish the body’s ability to adapt and restore itself to health. I have experience in Visceral Manipulation but I am not offering sessions in this modality at this time.